The gears reversed in Tuesday’s Global Dairy Trade (GDT) auction, event number 212. The weighted average of all products offered rose 1.9 percent, following a 1.1 slip on May 1. Anhydrous milkfat led the climb, up 5.8 percent, following a 1.9 percent dip on May 1. Cheddar was up 4.4 percent, following a 3.1 percent advance, and skim milk powder was up 3.0 percent, after it advanced 3.6 percent last time. Butter rounded out the gains, up 2.4 percent. It was unchanged in the last event. Rennet casein was down 6.1 percent, after it plunged 10.5 percent last time, and lactose was down 3.5 percent, after inching 0.6 percent higher. FC Stone equates the GDT 80 percent butterfat butter price to $2.5607 per pound U.S. CME butter closed Friday at $2.3850. GDT Cheddar equated to $1.9072 per pound U.S. and compares to Friday’s CME block Cheddar at $1.5825. GDT skim milk powder averaged 92.87 cents per pound and whole milk powder averaged $1.4634. CME Grade A nonfat dry milk closed at 85 1/4-cents per pound. “American cheese demand in March was 6.6 percent above a year ago and up 3.2 percent versus previous-month levels. Demand for the ‘other’ cheese increased 3.3 percent from 2017 and 4.1 percent higher than month-earlier levels. Total cheese use was up 4.6 percent from a year ago and 3.8 percent above April. American cheese use was 2.7 percent higher and ‘other than American’ cheese use is up 3.7 percent, which put total cheese use 3.3 percent higher,” according to the Update. Cheddar exports are at a four year high. “Nonfat dry milk use rose 1.8 percent in March and butter demand was 1.96 percent higher. On a month-to-month basis, commercial disappearance of butter increased 20.1 percent, while nonfat dry milk use lost 2.1 percent.” But, 2018 nonfat dry milk use so far is up 19.2 percent, while butter use is up 5.8 percent. Kurzawski, in in the May 14 Dairy Radio Now interview, attributed the encouraging data to U.S. prices being competitive on the world market. He said U.S. prices have been below EU and Oceania prices for some time but “the real story” is global demand as a whole. He expects First Quarter global imports will be up 7-8 percent, which would be the fastest growth since 2014. Mid-May cheese prices headed south as traders absorbed the week’s GDT and awaited Friday afternoon’s April Milk Production report. The blocks closed that morning at $1.5825 per pound, down a nickel on the week, 8 3/4-cents below a year ago, and the lowest CME price in six weeks. The barrels closed at $1.5325, down 8 3/4-cents on the week but 6 1/4-cents above a year ago. There were 7 cars of block sold on the week at the CME and 32 of barrel. Western cheese demand is “currently solid,” according to DMN. Sales in both the domestic and international markets are good. U.S. cheese prices are competitive in the international market as the value of the dollar is down. Market participants report that some buyers are purchasing more cheese to secure the stocks they need as they are concerned that prices might further increase. Cheese production is strong in that milk continues to be readily available and most plants are running near full capacity. Inventories are abundant, according to DMN. CME butter saw a Friday finish at $2.3850 per pound, 5 cents higher on the week, a penny above a year ago, and the highest price since October 18, 2017, with 61 cars exchanging hands on the week. Churning continues for Midwestern and central butter producers. Cream availability varies. Butter sales continue to impress contacts and inventories are generally balanced, according to DMN. Interest continues to favor the unsalted variety. Some contacts have shared that market prices have yet to affect retail prices, but likely this summer will see butter prices increase. Cash Grade A nonfat dry milk closed the week a quarter-cent higher, at 85 1/4- cents per pound, highest since September 5, 2017, but that’s 6 1/4-cents below that week a year ago, with 14 cars finding new homes on the week at the CME. Speaking of aged powder; the EU commission sold about 92.5 million pounds of skim milk powder out of intervention this week with a minimum price of about 62 cents per pound. Last month’s tender moved about 52.9 million pounds. Cash dry whey closed Friday at 37 cents per pound, up 4 1/2-cents on the week and the highest price since it began trading on the CME on March 12, 2018. Meanwhile; restaurant sales remain a very important part of dairy product disappearance whether it’s a McDonalds switching to butter or a Pizza Hut adding more cheese to its pizzas. DFMA analyst and editor, Jerry Dryer, reported in the May 21 Dairy radio Now broadcast the latest Census Bureau data, which monitors total food service and fast food sales. That is where a lot of cheese is consumed, according to Dryer, at outlets like McDonalds, Wendy’s, and Arby’s. “The data is interesting,” he said, “but we need to consider that McDonald’s First Quarter sales were up more than 5 percent and Domino’s was up more than 8 percent.” Both use a lot of dairy products. Additionally, Dryer says the census data “probably isn’t capturing everything that is going on out there. Things have changed and people are buying ‘Grab N Go’ kinds of items out of service stations, super markets, and drug stores, places that don’t get counted as food service sales so that may mean the numbers aren’t fully reflecting what’s going on,” he concluded. USDA’s latest Crop Progress report shows 69 percent of U.S. corn is now in the ground, as of the week ending May 13. That compares to 68 percent a year ago and 63 percent in the five year average. The week showed 28 percent emerged, down 1 percent from a year ago and 1 percent behind the five year average. The report also shows 35 percent of the soybeans have been planted, up from 29 percent a year ago and compares to 26 percent in the five year average. Cotton planting is at 36 percent, up from 31 percent a year ago and matched five year average for that week. 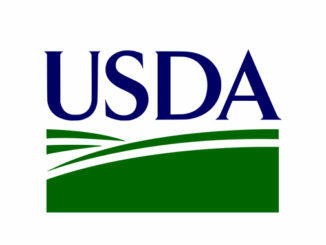 The Agriculture Department’s latest Livestock, Dairy, and Poultry Outlook reports that feed prices continue to rise. “In March, the 16-percent protein feed value, as calculated by USDA’s National Agricultural Statistics Service, was $7.91 per hundredweight (cwt). It has risen each month since November, when it was $7.13 per cwt. While feed prices have risen, the all-milk price has fallen from $18.20 per cwt in November to $15.30 in February before rising slightly to $15.60 in March. With rising feed prices and relatively low milk prices, the milk-feed ratio fell to 1.97 in March, the lowest point since June 2016,” according to the Outlook. Dairy margins continued to improve over the first half of May with rising milk prices as feed costs held mostly steady, according to the latest Margin Watch (MW) from Chicago-based Commodity & Ingredient Hedging LLC. “While margins are only slightly above average from a historical perspective, they are still projected positive with the exception of spot Second Quarter,” the MW stated. “Milk prices have been supported by strong export demand, with 17.3 percent of milk solids exported in March on the back of 17.2 percent in February. For First Quarter, U.S. exports of 16.1 percent of total milk solids produced represented a good step towards the U.S. Dairy Export Council’s goal of reaching the 20 percent mark by 2020. Strong demand from the MENA region (Middle East, North Africa) in particular with surging oil prices has helped although there are headwinds on the horizon. Recent U.S. dollar strength and potential tariff issues moving forward will present a challenge for dairy exporters over the medium to longer term. USDA released their May WASDE report, which lowered the 2018 milk production forecast on reduced cow numbers and slow growth in milk per cow. At the same time, exports were raised from April on both a fat and skim-solids basis on strong global demand. On the feed side, USDA released the first 2018-19 new-crop balance sheet which featured sharply lower ending stocks projections for both corn and soybeans due to reduced acreage and production this season. New-crop corn ending stocks are projected at 1.682 billion bushels, down 500 million from the current year, while soybean ending stocks are estimated at 415 million which would be down from 530 million this year. Both figures were lower than trade estimates, but recent advances in planting progress have limited the market’s reaction,” the MW concludes. Cooperatives Working Together (CWT) accepted seven requests for export assistance this week from member cooperatives that have contracts to sell 709,889 pounds of cheese and 440,925 pounds of butter, to customers in Asia, Europe and the Middle East. The product has been contracted for delivery from June through October and puts CWT’s 2018 exports at 34.776 million pounds of American-type cheeses, 10.593 million pounds of butter (82 percent milkfat) and 923,737 pounds of whole milk powder to 25 countries on five continents. 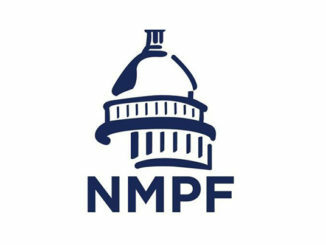 NMPF says that Oatly is “exploiting a lax regulatory environment in the United States to mislabel its imitation dairy product and criticized Oatly for complaining to the U.S. Food and Drug Administration (FDA) last month that it would be placed at a disadvantage if it could not call its product ‘oat milk,’ even though it is not called ‘oat milk’ anywhere except in the United States, not even in Sweden.